Ipsy was voted the best beauty subscription box for 2018 by My Subscription Addiction readers. One key reason for the company’s success? A carefully orchestrated order fulfillment solution. Every month, subscribers nationwide eagerly await their monthly “Glam Bag” from the online beauty company based in San Mateo, California. The bags contain premium product samples – lipsticks, nail polish, eyeliner – custom selected for subscribers. As demand has skyrocketed, getting the Glam Bags packaged and delivered to millions of subscribers has become a very complex, customized process, conducted within a tight delivery window. 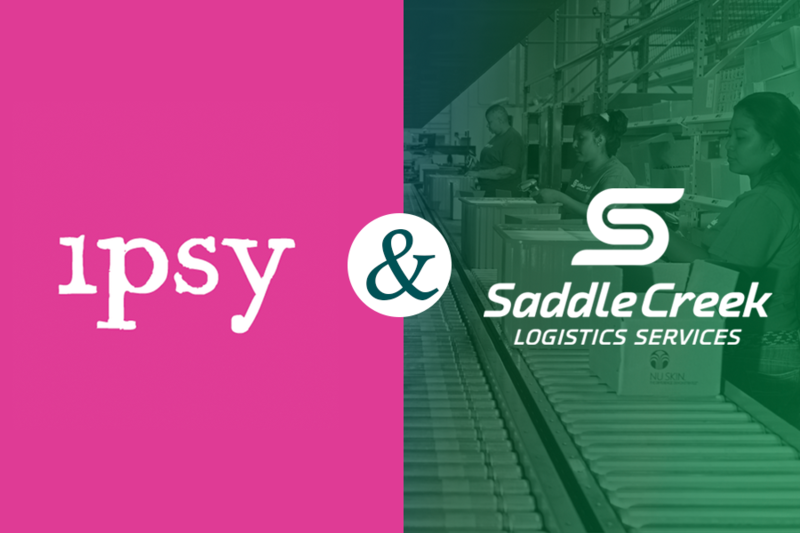 Ipsy turned to Saddle Creek Logistics Services for help. Working closely with ipsy, Saddle Creek designed a custom operation to accommodate the increased complexity of the subscription box company’s rapidly growing business and handle orders for all of its sales channels. At its facilities in Charlotte, N.C. and Fort Worth, Texas, Saddle Creek’s fulfilment team assembles curated bags containing a variety of product samples. They create hundreds of configurations to suit subscribers’ beauty preferences. It is a complex, labor-intensive process. The success of each bag is critical to maintain subscriber satisfaction, so order accuracy, quality, and efficiency are top priorities. Watch the video case study to see order fulfilment in action at ipsy.